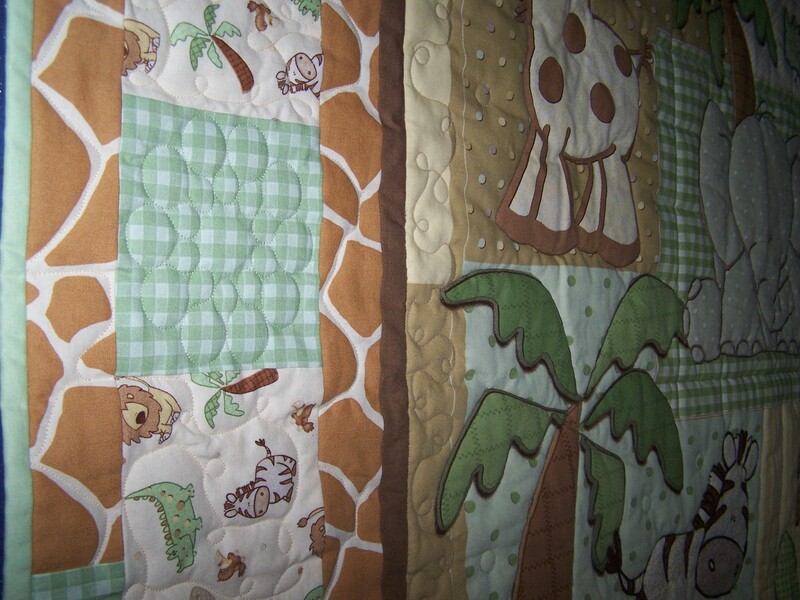 Here’s a baby quilt I pieced, quilted and bound for a baby shower. The quilt has a center panel surrounded by pieced borders and blocks. The green binding is sewn on using a stitch in the ditch technique exclusively by machine. The colors in the quilt are the colors the parents chose for the baby’s room. The center panel animals and all the trees were outlined stitched. 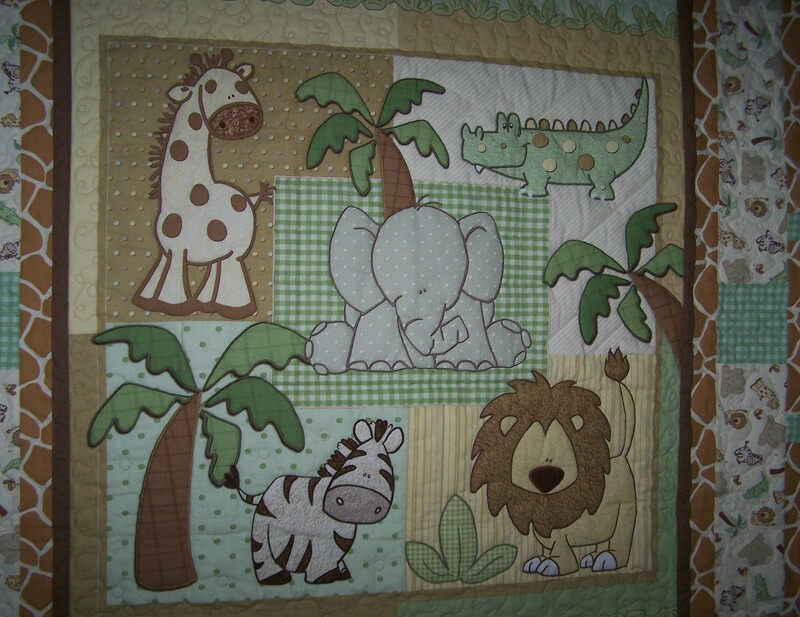 Each background section was also custom stitched…some with 1/2″ circles (giraffe and zebra), diagonal lines (alligator), checkered stitching (elephant), or straight lines (lion). Notice the machine stitched in the ditch green binding in this photo. No stitches show on the front and there’s a single straight stitch on the back of the binding. Loop-de-loops were placed on the outer and inner borders. 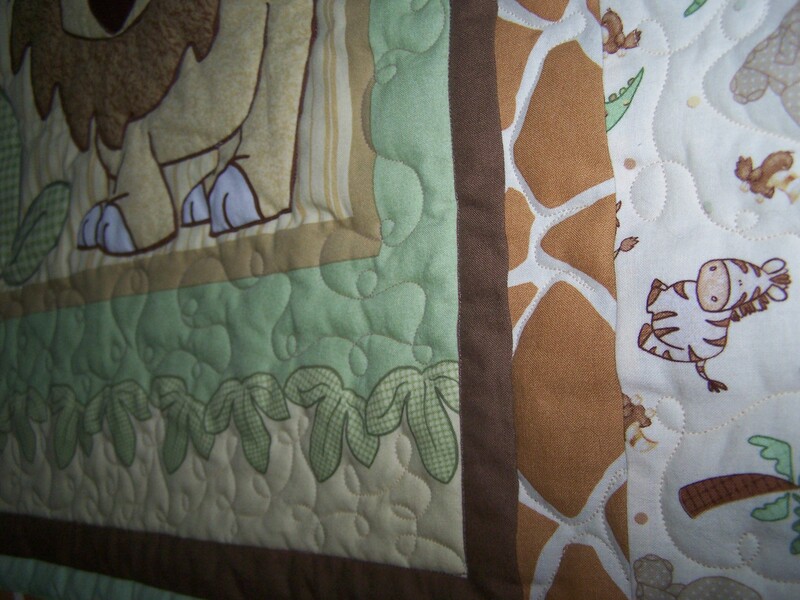 Stitching was placed on the yellow in the giraffe border. There is a lot of stitch in the ditch placed along the multiple borders to keep the quilt together for many years! Do you have a quilt panel that you purchased a long time ago and haven’t gotten around to making a quilt out of it yet? CONTACT ME and I’ll get it pieced and quilted for you QUICKLY! 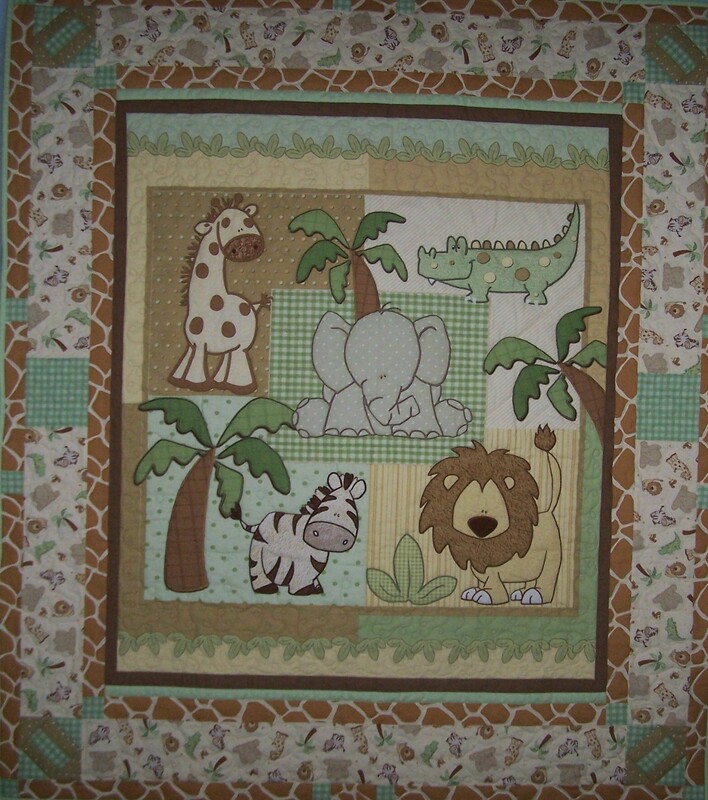 Are you a non-quilter who’s looking for a great gift for a new baby? CONTACT ME. I’ll piece it and quilt it for you! Easiest gift you’ll ever give someone!